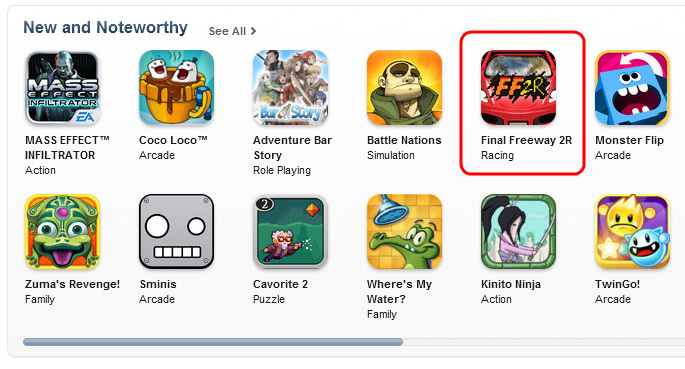 Final Freeway 2R, New and Noteworthy! We’re on the New and Noteworthy games list in several countries now, including US, Canada and Japan. The game reception is awesome, currently averaging a 5 star rating! that’s an important achievements, I hope will boost sales! It helped a lot with the first FF, but it didn’t help as much with FC… so, the judges are out.